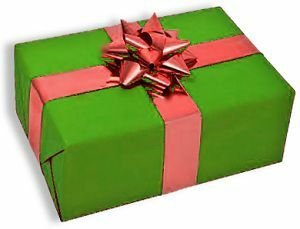 Home » Taxes » When Do You Pay Taxes on a Gift? The last few weeks have seen some serious hoopla surrounding the situation of Christian Lopez, the fan that returned Derek Jeter’s 3,000th hit ball. Lopez was lavished with gifts and freebies. But, a dark cloud soon gathered when it became apparent that the IRS was ready to do battle and tax Lopez on some of what he received. Indeed, the IRS might not consider some of the items that Lopez received as “true” gifts; instead, they might be classified as payment, or they could be seen as promotional efforts made by the generous individuals and companies stepping in. Who Pays Taxes on a Gift? This issue of whether or not what Lopez is receiving are gifts matters because of who is expected to pay taxes on what the IRS considers true gifts. Indeed, the recipient doesn’t pay taxes on gifts. The person making the gift is required to pay taxes on the gift given (and has to file a specific form). There are yearly exemptions to the gift tax, though.In 2011, you can give $13,000 to an individual without being taxed, up to a $5 million lifetime limit. This is per-person, so you could gift $13,000 (a total of $39,000) to each of your three kids if you wanted. Your spouse can also gift up to $13,000 a year without paying taxes on the amount. This means that you could each give your grandson $13,000 a year, for a total of $26,000. This sort of estate planning can actually be a good idea. What About Items Instead of Money? It gets sticky when you start looking at gifts that are items. Normally, you consider the market value of the gift. If it’s a true gift, though, the recipient won’t have to pay taxes on it (but you will owe if the market value exceeds $13,000). You should note, though, that if the recipient sells the gift later on, and if the item has increased in value, the recipient will owe taxes on the gains from the sale. So, if you gift an item worth $3,000 today, and the recipient sells it in 15 years for $10,000, he or she will owe taxes on the $7,000 increase. So, What Counts as a Gift? In most cases, as between family members, it’s pretty straightforward. You give a gift, without the expectation of a benefit in return. Things start getting murky in cases where you receive something from a non-relative who might have other motives. In the famous incidence where Pontiac gave away cars on Oprah’s TV show, they weren’t considered gifts because the intent of the giver was to promote and sell the cars. The giver expected a benefit. In the case of Lopez, the Yankees gave him some autographed memorabilia and tickets. If the IRS views this as an exchange — essentially payment — for the ball, Lopez owes, since it is seen as income. A gift must be given without expectation of return, and given because the giver feels admiration for or charity toward the recipient. Proving that intent to the IRS becomes tricky, and doesn’t always fly. What do you think? How should gifts be taxed? Should they even be taxed at all? I hate paying taxes on a gift, it is not money. Normally, you win something on a game show, you will be taxed. The show will issue a 1099 and you have to include the value of the prize in your income. Oprah”s audience got lucky because that would have been a pretty good hit.